Wash and kill bacteria at the same time. 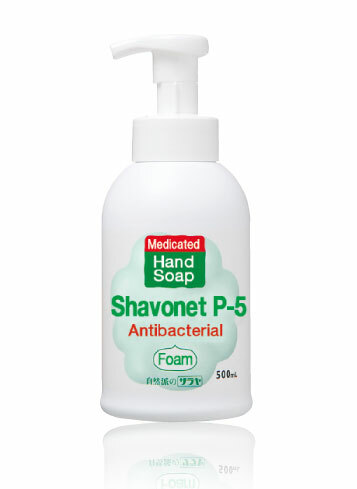 Highly biodegradable Shavonet P5 is made from vegetable based ingredients and contains antibacterial agent isopropyl methylphenol. Freshly fragranced for a pleasant hand wash.
• Instantly foams from the pump for a silky smooth citrus fragranced hand wash.
• Natural hand soap for a high biodegradability.